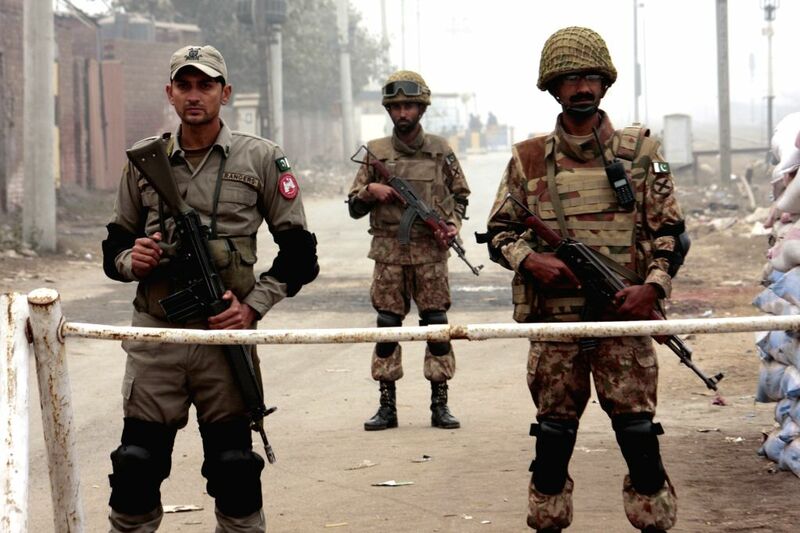 LAHORE, Jan. 8, 2015 - Pakistani soldiers stand guard outside the Kot Lakhpat Central jail in eastern Pakistan's Lahore, Jan. 8, 2015. Security upgraded to high alert after the lifting of a six-year moratorium on executions by government. Pakistani soldiers check a man outside the Kot Lakhpat Central jail in eastern Pakistan's Lahore, Jan. 8, 2015.